MyDigiTrade / Education / Platform Tour / Credit line of up to $150,000. How Does It Work? Credit line of up to $150,000. How Does It Work? Suppose that you have $10,000, which you want to invest via our platform. You have defined the maximum risk of 25% for yourself, or $2,500. The credit line allows you not to transfer all your capital to a brokerage account and invest only the sum you are willing to risk. We will add the remaining funds to your account as an interest-free credit. Invest in the strategies, which recommended minimum amount of investments is larger than your own capital. The credit line allows you to protect yourself from the risks related to insufficient capital. Example: You start copying a strategy, which recommended minimum investment amount is $5,000 (it is calculated for trading with 0.01 lots). At that, your equity is only $1,000. 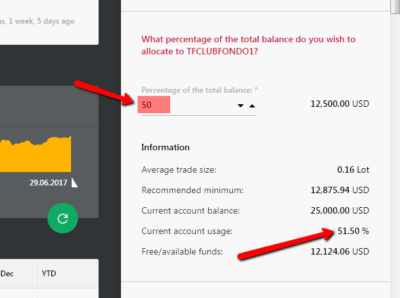 Trades of 0.002 lots (this trade size is impossible) must be opened on your account for proportional copying. Since the minimum possible lot size is 0.01, copying will go incorrectly. 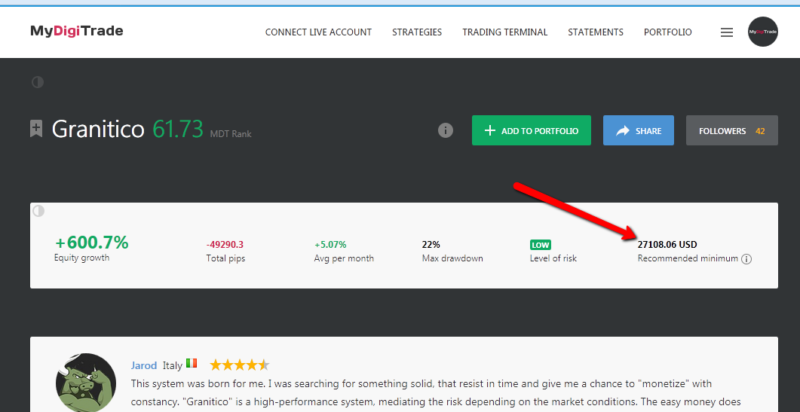 Build a well-diversified portfolio including several trading strategies. Invest in perspective and low-risk strategies with an average monthly return of 2-10%. Your income will be based on the amount of your total account equity, but not on your deposit amount. Your deposit is $2,500. The credit line is $7,500. Total account equity for investments is $10,000. It should be noted that such a scheme will increase not only your potential income, but also potential risks (proportionally). There are no any limits on the amount of deposited funds you can withdraw. All the income earned is available for withdrawal at any time. 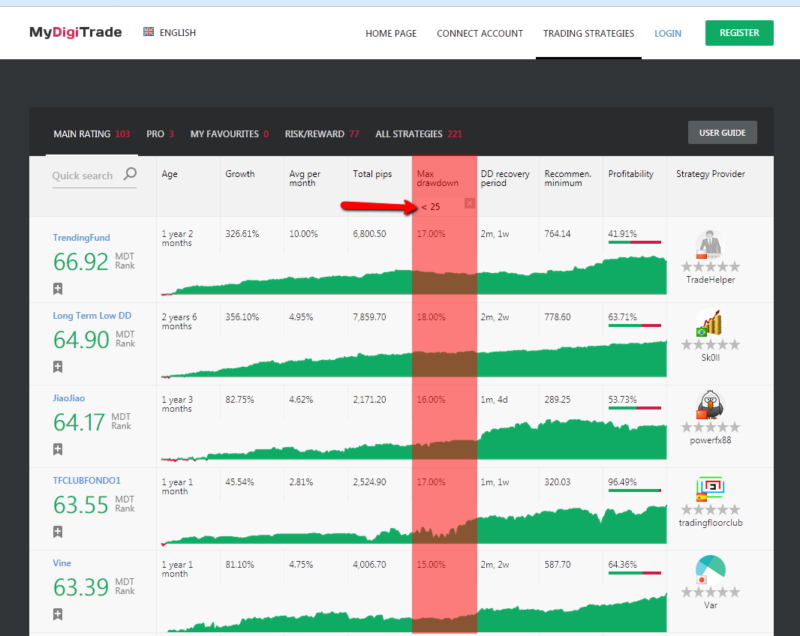 The credit line can be used both for copying strategies on our platform and trading alone. The credit line cannot be used for offsetting potential losses. It also prevents you from going into the red and losing more than your deposit amount. 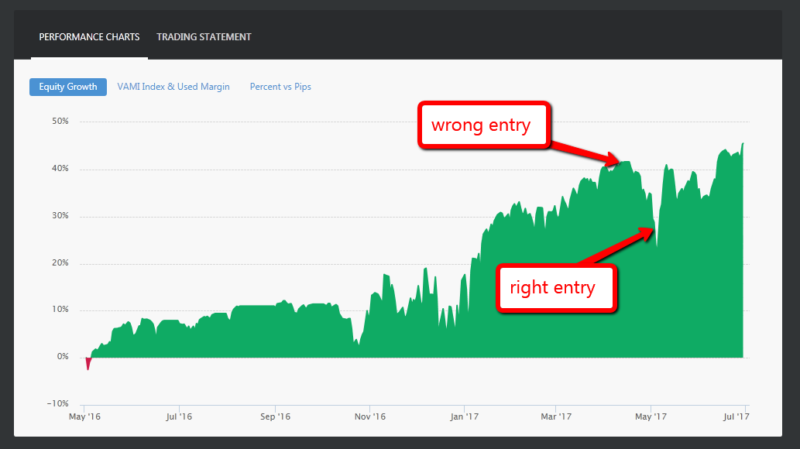 If an absolute drawdown on your portfolio hits 25% (equity equals the sum of borrowed funds), trading will be stopped automatically (all trades will be closed). What Are The Steps To Avoid It? Choose those stable trading strategies, which yield income for a long period of time, but are exposed to low risks. If you’re willing to start cooperation with us, please contact us to get substantial information on opening an account with a credit line.